Klipsch has been in the audio business for 71 years and their name is well known amongst audiophiles for full bodied sound in their high end sound systems. New this year are the Heritage HP3 Headphones and the Heritage Headphone Amplifier. The Heritage HP3 Headphones have a sophisticated design, made from the most functional and premium materials available. They feature die-cast steel, milled wood, premium leathers, and machined aluminum components. Boasting a 52mm KG-520 biodynamic driver housed in a back-vented design, the HP3 headphones deliver unsurpassed acoustic performance. Like their other products, these headphones are made to last with single piece, interchangeable parts. So whether you need to replace a piece or you want to switch up the look with additional ear pads or cables, it can be done at any time. You can order a pair from their website for $1,199. The Heritage Headphone Amp is the perfect accompaniment to the HP3's. They deliver a premium, audiophile-grade performance to maximize your headphone capabilities for true-to-life acoustic reproduction. 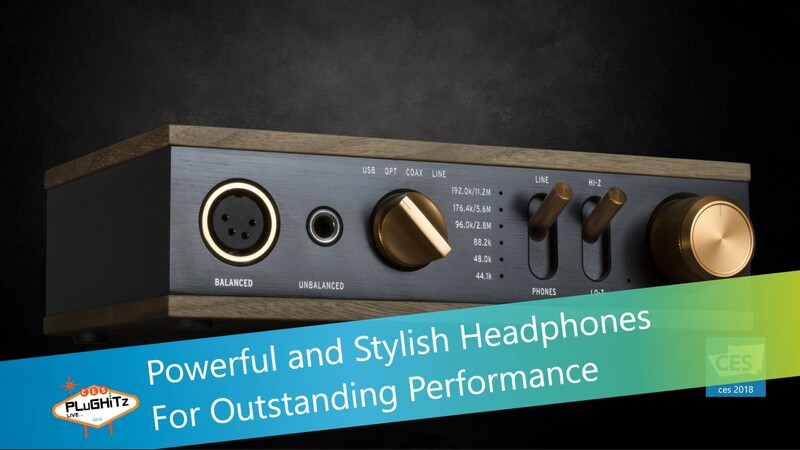 Also exquisitely designed, from being encased in formed aluminum to the genuine walnut veneer, the Heritage Headphone Amplifier exudes quality even before being plugging in your headphones. They feature a high quality digital to analog converter, dual amplifiers for balanced output, and more. And the feel is unsurpassed. It brings you back in time with a retro design, but with all of the current tech that makes this a powerhouse of an amplifier. Get yours here for $499.